In a previous interview, Kerri Thomson suggested if I ever got to Canberra I should talk to Ken Helm. I really enjoy KT’s riesling so I thought, if she recommends Ken, why not. I was there recently and caught up with him. 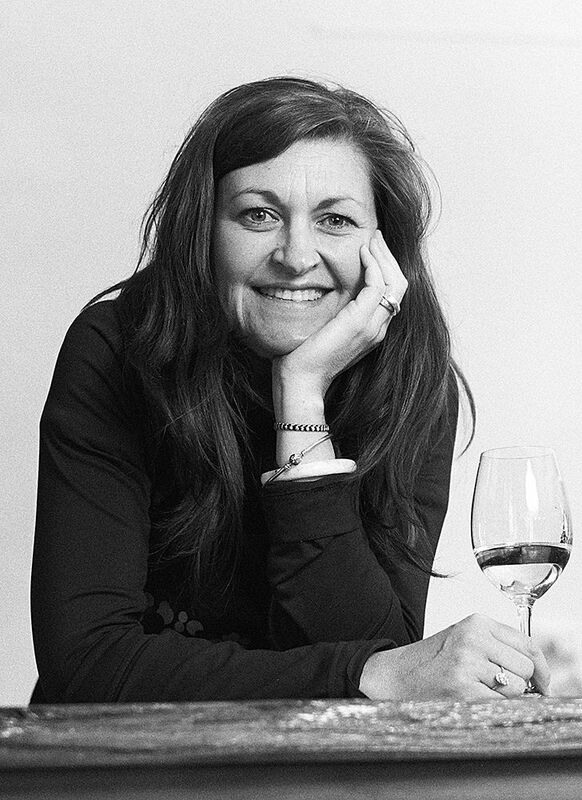 Kerri Thompson, Wines by KT, Clare Valley : Milton © Wordley. Ken is of German descent, his great-great grandparents came from Germany in the 1850s, they planted vines in Rutherglen, he grew up in the Albury / Rutherglen region. Ken started work as an insect ecologist with the CSIRO and found himself in Canberra in 1967. Together with a few other CSIRO scientists they formed a wine club. Three of them decided to plant some grapes. 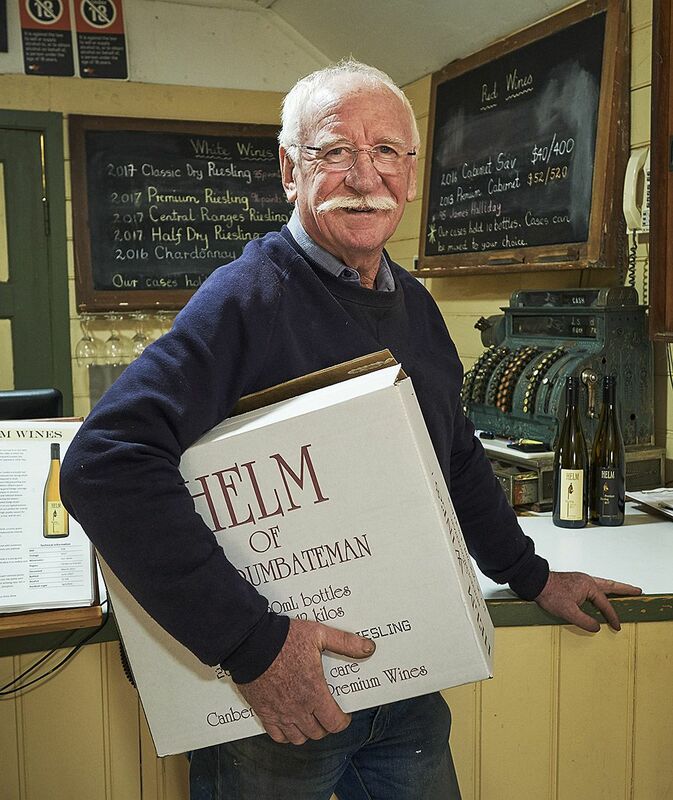 Helm Wines planted their first vines at Murrumbateman, north of Canberra in 1973. 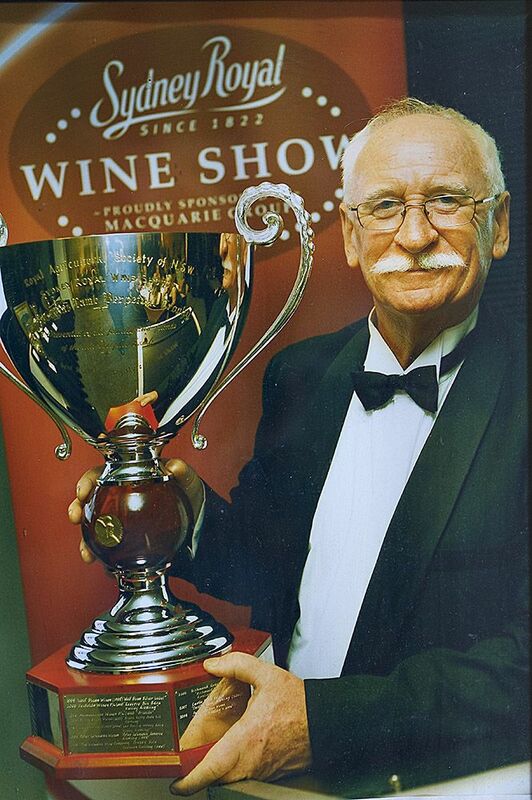 Ken was instrumental in creating the ‘Canberra International Riesling Challenge’ in the early 2000’s. It’s the biggest event of its type in the world now. Ken stepped down as Chairman last year. Early on I worked as an insect ecologist with the CSIRO. I was transferred to Canberra in 1967, where I met all of these really interesting people. They were from Europe, as were my ancestors, and they dressed differently, ate different food, enjoyed wine and enjoyed the classics. A few of us at CSIRO decided to start a wine club in the 1970s, then a few of us decided to grow grapes. So the Canberra wine industry which existed back in the 1850s and disappeared in favour of sheep, was reinvented by basically a number of academics from CSIRO. Dr Edgar Riek went out to Lake George, north of Canberra, he died the year before last, he was 95. Dr.John Kirk and myself ended up here at Murrumbateman. 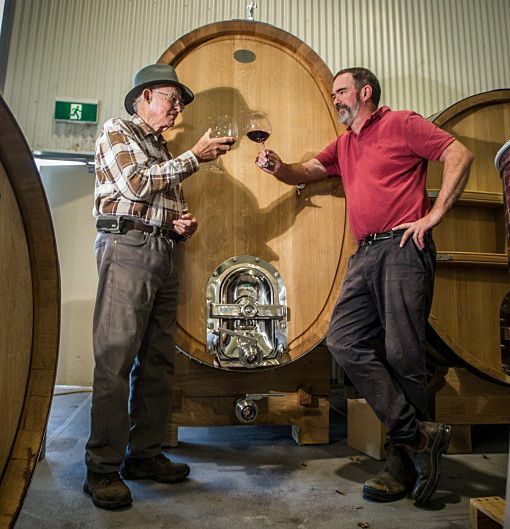 John Kirk was at Clonakilla where, as you know, he and his son Tim, made his Shiraz – Viognier famous. 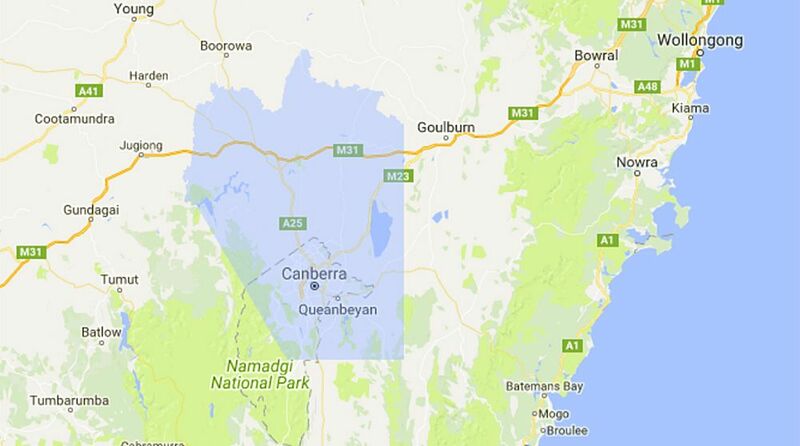 I was the only one that had any viticultural experience having grown up in the Albury / Rutherglen region. I decided on growing Riesling after talking to people like Graham Gregory, the then head of viticulture at the New South Wales Department of Agriculture. 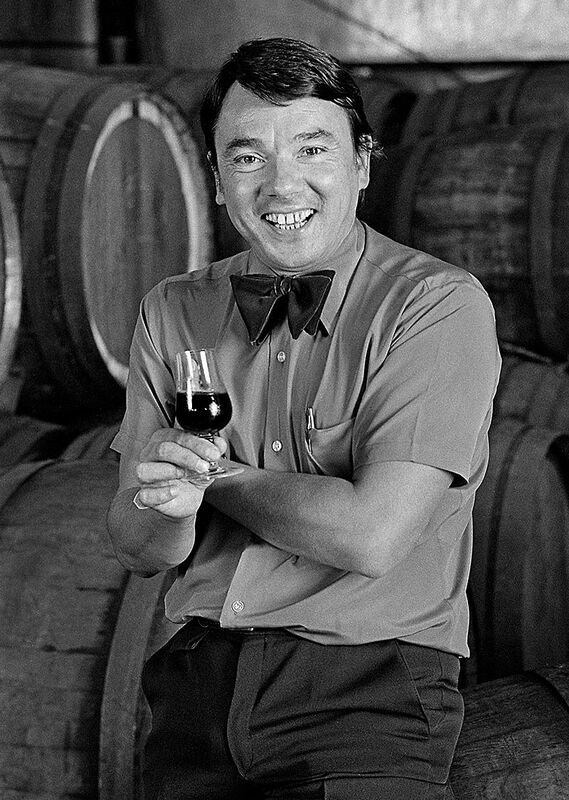 Graham was a brilliant man, and a great judge of wine. Each year the New South Wales Government presents the ‘Graham Gregory’ trophy and I was very privileged to receive it in 1999. I remember Len Evans saying on presentation night, how the hell did you get before me ?. In 1988, my wife and I decided that we would grow grapes and make wine full-time, so I took a retirement package from CSIRO and here we are 45 years later with a famous wine company. 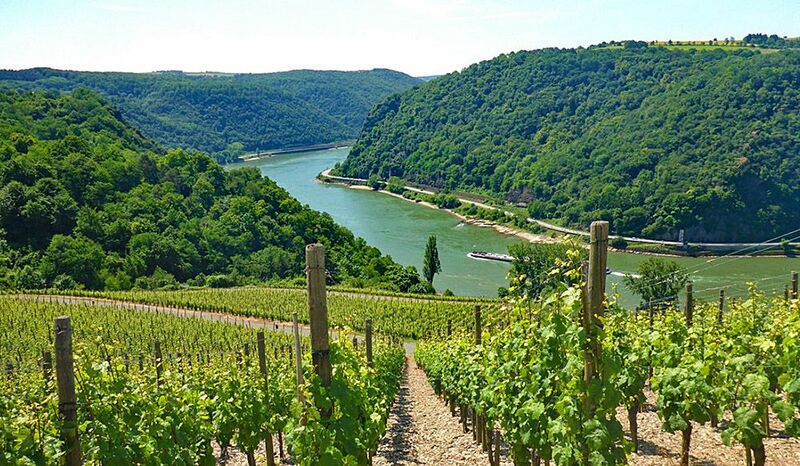 Wine growing along the Rhine : Image Euro Hike. My great-great grandparents came from Germany in the 1850s, they planted vines in Rutherglen. My great-great grandfather was John Peter Frauenfelder, which translates as ‘Woman of the field’, if you know your German. They came from the Rhineland in Germany, near Heidelberg. It was the Catholic Germans who settled in Albury on the Murray River which they called the “Rhine of Australia”… they were not like the Barossa Lutheran Germans who were from Silesia (Poland), who knew little about growing grapes but were very good farmers and extremely good craftsmen. 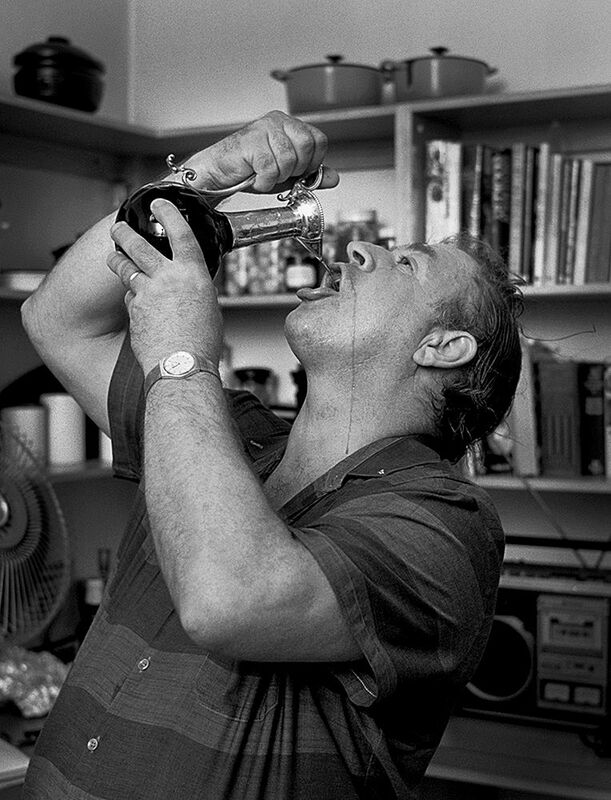 Peter Lehmann in the early 1980’s drinking from a beautiful decanter, a wedding present given to he and Margaret by Leon Massoni, one of the fabled Melbourne restaurateurs : Photo © Milton Wordley. My good friend the late Peter Lehmann and I would often talk about our different German heritage. I grew up in the Albury / Rutherglen wine region area. The wine industry fell out of the Helm family around the First World War when the Australian wine industry generally declined. I joined CSIRO Division of Entomology in Albury as part of an insect ecology team studying various insects in Eucalyptus forests, apple orchards, vineyards, hop gardens and insect migration. Did you study wine making ? No, I didn’t. I worked like most of the people did in those days of the Australian Wine Industry, on the basis that winemaking was learnt from your peers. I was lucky since I had access at CSIRO, to some of the best chemists, microbiologists and agriculturalists, who I could talk to about any grape and wine problems. Of course in 1975, the Wine Science Degree / grape and wine research was started at Charles Sturt University at Wagga Wagga, with the likes of Brian Croser, Andrew Burke and Andrew Hood; even Andrew Pirie (Pipers Brook in Tasmania) was there for a while, which provided a great pool of knowledge, experience and innovation . My research work was part of a team which studied insect ecology, in apple orchards and hop gardens, but I also did some work on phylloxera. When we started back then in the early 70s, the science of wine was pretty basic. Bryce Rankin was doing wonderful work but that was only just starting to be adopted and there was still an enormous amount of research being done by people like Ray Beckwith and the Australian Wine Research Institute. So when we started out we were fortunate, that we were at the dawning of wine science in Australia. If I had my time over again, I would get a wine science degree, back then we were in the experimental stages of many wine techniques that we take for granted today. I was even culturing my own yeast cultures and keeping them, because I had access to some of Australia’s best micro-biologists at CSIRO. I still have sitting in my fridge, yeast cultures on agar slopes, which Andrew Markides from Charles Sturt, Wagga Wagga, gave me in about 1982. I don’t think they would still be viable. These were some of the first cultured yeasts that people were using. But these days, life is so simple, you just ring up and order 500 grams of freeze dried yeast or whatever yeast you like: it’s just wonderful. ‘Canberra Wine District’ but I noticed on the map we are in NSW ? When the Australian Geographical Indications (GI) was developed the Canberra District, it included the ACT and New South Wales. The Canberra Wine district GI. We were arguing about the name and what we would call the district. I was one of the ones who wanted it to be called ‘The Canberra District’, a lot of people wanted to call it ‘Yass Valley’. My argument was is that nobody knows where Yass is and everybody knows where Canberra is. “Well that can’t be any bloody good; nothing good comes out of Canberra”, luckily, we’re over that now. Halliday rates the Canberra district amongst the 10 top wine regions in Australia and the wines that are coming out of here are really pretty special. I’d say our climate is closest for Riesling production to the Great Southern in Western Australia. What people don’t realize is that Canberra gets more sunshine than any other capital except Perth, so it’s fantastic for solar panels and skin cancers as well as growing things. We also get our rain in short, sharp bursts, but lack of water is one of the main constraints for Canberra vineyard development. We have a classic continental climate with a range of daily temperatures – cool nights and warm, hot dry days. We’re only an hour and a half drive to the coast, and in summer after a hot day of say 38 degrees, between 6 and 8 o’clock at night we get the sea breeze that we call, the “Batemans Breath”; you can actually smell the salt in it and it provides cool nights. It’s not dissimilar to Coonawarra, in that respect, and it’s one of the great positives of our region and the reason we specialise in Cabernet sauvignon. It’s fantastic for Riesling, Shiraz and Cabernet, plus a number of other varieties. The best wines are made in the vineyard; the fruit that we are producing is so good that basically you just have to follow the classic winemaking rules, and you can make a very good wine. Hence the reason the Canberra District has such a great reputation for fine wines. 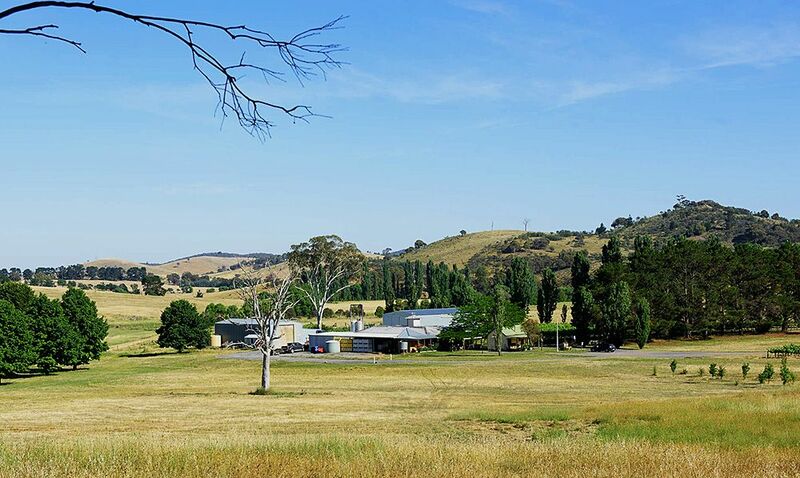 The trouble is there’s not much of it, because you have to remember the Canberra district is quite small – just a fifth of the size of the Hunter Valley. 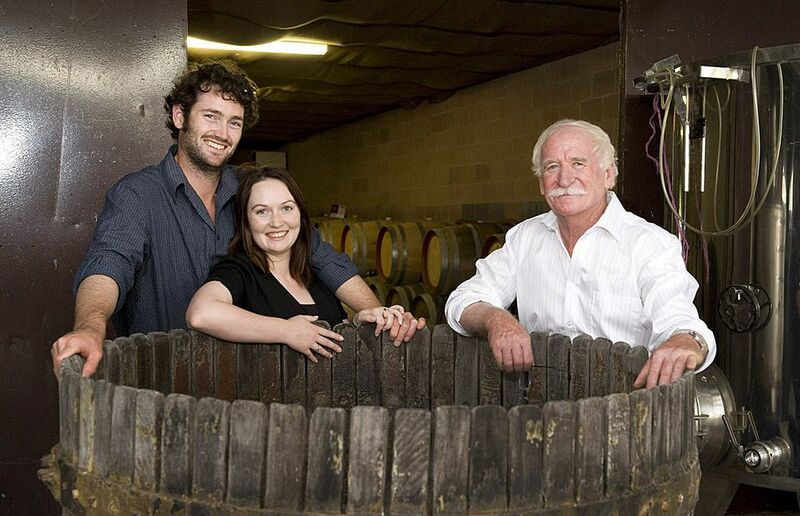 Helm wines was established in 1973, it’s a small family business who does what ? My wife Judith and I set it up in 1973 with limited funds. Wine regions are not normally set up by academics who have a limited income, they are traditionally set up by medicos, barristers and the like with high disposal income. 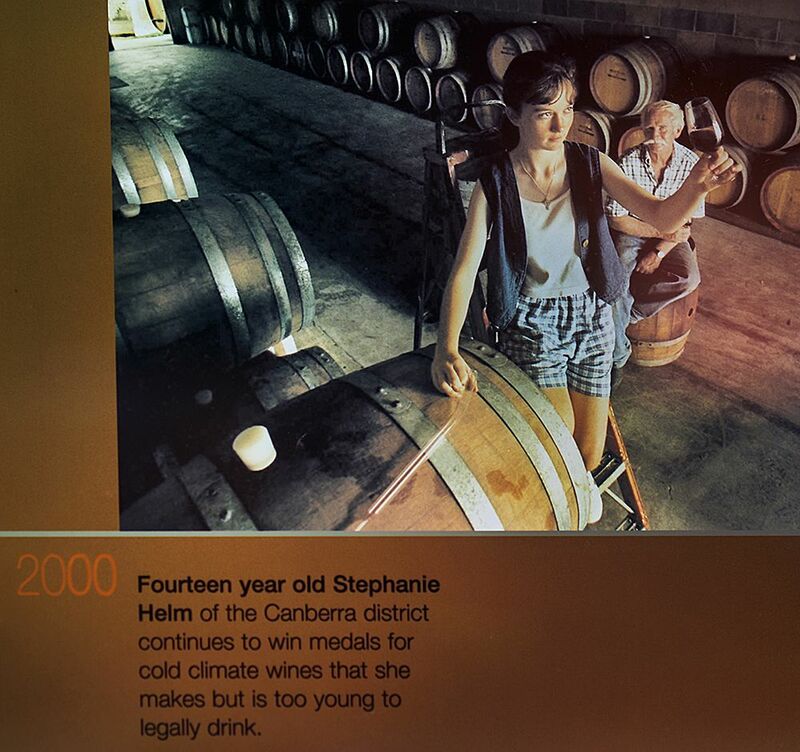 Steph made it onto the National Wine Centre ‘Wine Discovery Journey’ board in 2000 as a fourteen year old wine maker. I was one of the few in the district that had the view that we could make a commercial business out of it. When we came here we couldn’t even find a builder from Canberra to come out and build, they all reckoned it was too far and yet, it’s only a 40 minute drive, so we moved from Canberra initially to Murrumbateman Village and drove the 10 kms at weekends and holidays to tend the vines before we built a small winery and started making wine. We had a young family and we struggled for many years. Stephanie our youngest and now a winemaker with her own winery as well as assisting at Helm, hadn’t even been born at the time; she didn’t arrive till 1986. 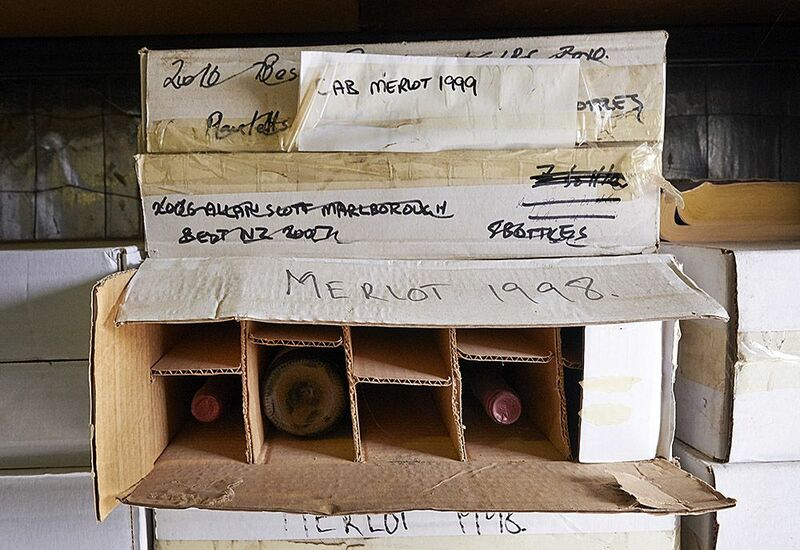 We started selling wine around about 1980. My wife still does the books and as you can see we both work the cellar door. Our oldest son Matthew helped in the winery early on, when he left school but then took on an apprenticeship as a chef and he’s been a chef all over the world in some major hotels and resorts like the Gleneagles in Scotland and Raffles in Singapore. 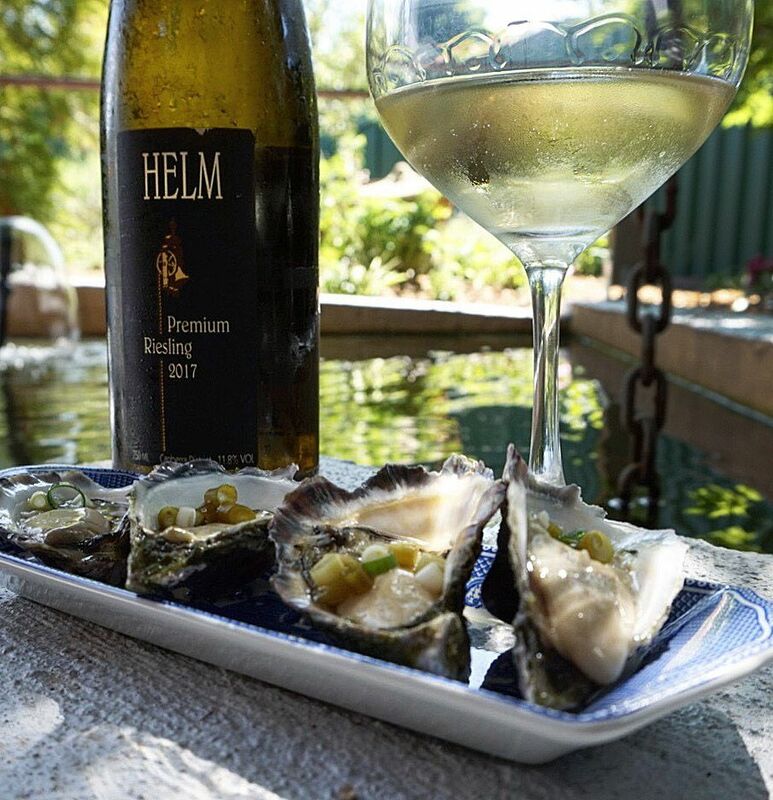 Helm Premium Reisling and Oysters nothing better. Photo courtesy : The Food and Wine Marshall. He is currently in Macau as Executive manager of Food and Beverage at the biggest Casino Galaxy. He has been in Macau for just over 13 years and he married Nicole, a Chinese girl, who runs several food and beverage businesses. Matthew helps us with matching our wines with food and give us an understanding of the Chinese wine market. The only place we export to is a restaurant in Notting Hill, London called The Ledbury, run by an Australian chef. The Ledbury is currently number 24 in the world and is in the top three restaurants of England. Our second daughter Natalie studied political science and modern history at the ANU. She spent 9 years in London where she worked on the congestion tax for Ken Livingstone in London. She’s now in Sydney and works for a major political and public relations company. She also still does all of our marketing. Our youngest, the late comer, young Steph, she’s the winemaker. She started making wine when she was 9 years old and won medals when she was 11; she’s always been very blessed with an outstanding sense of smell and taste and an extremely good memory. She obtained a law degree at the ANU, finishing the Wine Science degree at Charles Sturt, and she also works in the public service. She married our vineyard/winery manager Ben Osborne and they bought an old winery near here that was planted back in 1979. 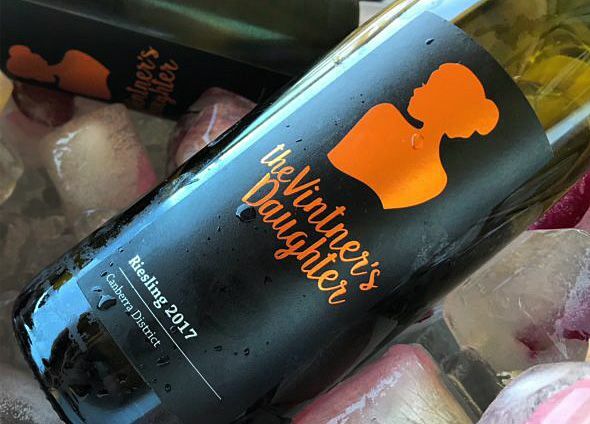 After three years of hard work on the vineyard, winery and cellar door they opened with the re-branded ‘The Vintners Daughter’. Steph’s husband Ben Osborne manages our vineyard and winery. When we blend and benchmark our wines, it’s me, Judith, Ben, Steph and Natalie if she’s here. I’m not afraid to use other winemakers around the district, when we start looking at our final blends and putting them together. We employ people through vintage and contractors to do all of our pruning and picking. We have distributors in Sydney, Melbourne and Canberra, and we sell 60% of our produce here at the Cellar Door. Our philosophy is that we won’t pick the grapes if we don’t think they are capable of producing an outstanding wine. There has been a couple of years when we have left some fruit on the vines and called the Italian community in Canberra to come and pick the grapes for their home wines. In 2012, we didn’t make any Cabernet, due to heavy rain just before harvest which ruined the fruit. So that’s how the business runs. Your Cellar Door building ? The small room we use as our cellar door was built in 1888. It served as the local school-room until about 1940, when the farmers dismantled and moved it. 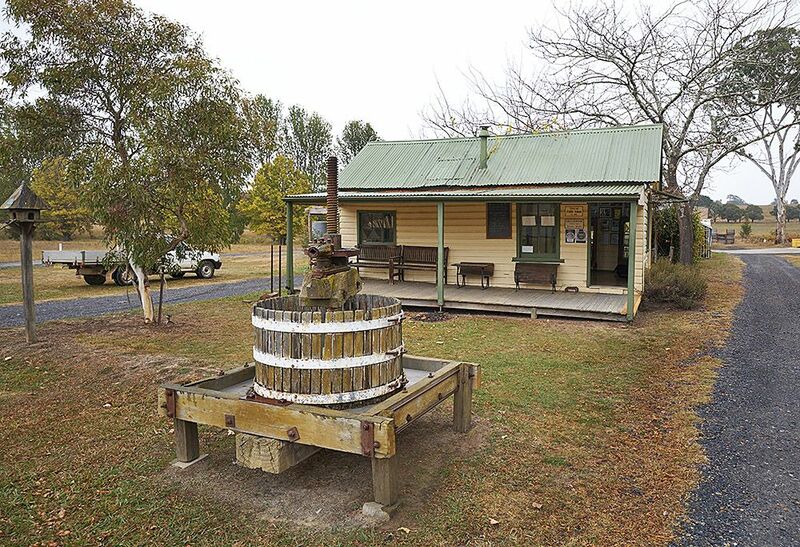 The Helm Cellar Door : the local school room built in 1888 : Photo © Milton Wordley. When we built the winery in 1975, I found the building up on the side of the hill about a kilometre away, it was all shut up, and sheep were living in it. I got my mates together we went up there and decided we could move it back. We jacked it up, it was dilapidated, but we got it on the back of a truck and drove it the kilometre to here in a straight line cutting the fences and re – joining and rejoining them as we went, and then spent 3 years restoring it. Now the National Trust has listed it as a building of importance. The Shire sees it as a great asset and now the local community do as well. Canberra International Riesling challenge ? In 2000, Riesling makers in Australia successfully had the word Riesling included in legislation in Federal Parliament to quarantine the word only to be used on a bottle of Riesling that had been made from the grape Riesling. Prior to that, the word was a generic term for a white wine. They were using sultanas and any other white grape and they would call it Riesling which was destroying the wine. That’s when I thought, the timing was right to start the Canberra National Riesling Challenge. 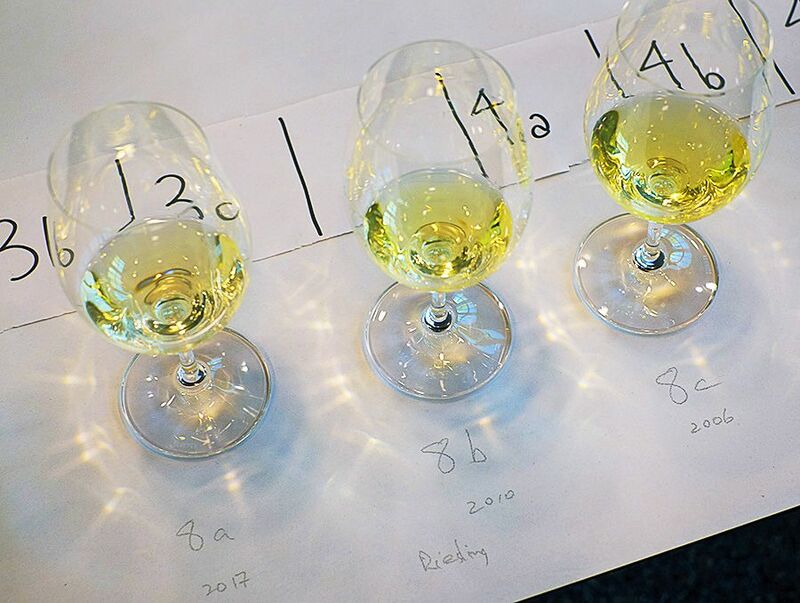 Reisling Challenge 2015 judging panel : Photo courtesy Reisling Challenge. So then I used some of my contacts, talked to people like the manager of the Hyatt in Canberra, the Director of Qantas in the ACT, and my good friend Jim Murphy at Market Cellars. So we thought, we’ll just get together the Rieslings from around Australia and show how good they were. So I approached my old friend Wolf Blass to be the Chairman of Judges. We then got people like Louisa Rose from Yalumba, as judges and away it went. 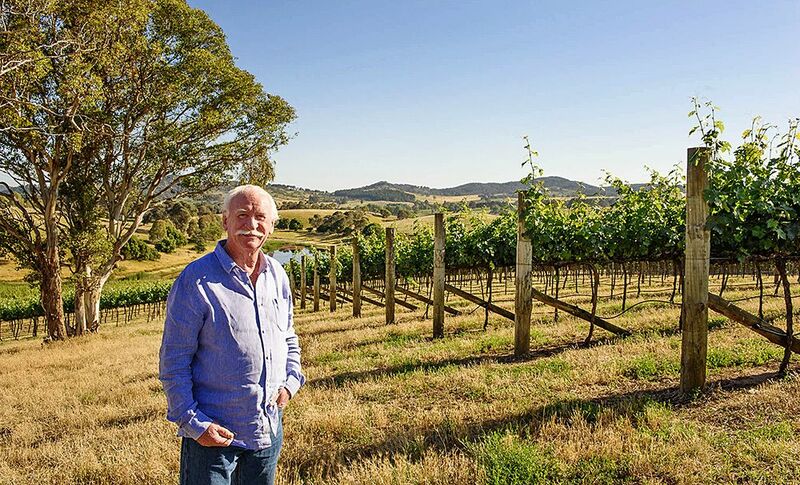 We had about 120 wines in the first year and McWilliams won it with an Eden Valley Riesling…. I think I’ve still got a bottle of it down in the cellar. Then, I thought, well why don’t we go international ? We invited New Zealand Rieslings first and that was successful so being of a German background, I had contacts with the German embassy. I realised that we were in a unique position to approach embassies like Germany, France, the USA, and other places that were growing Riesling, and we could bring the wines bring the wines through the embassies, so we could get rid of all the customs problems. 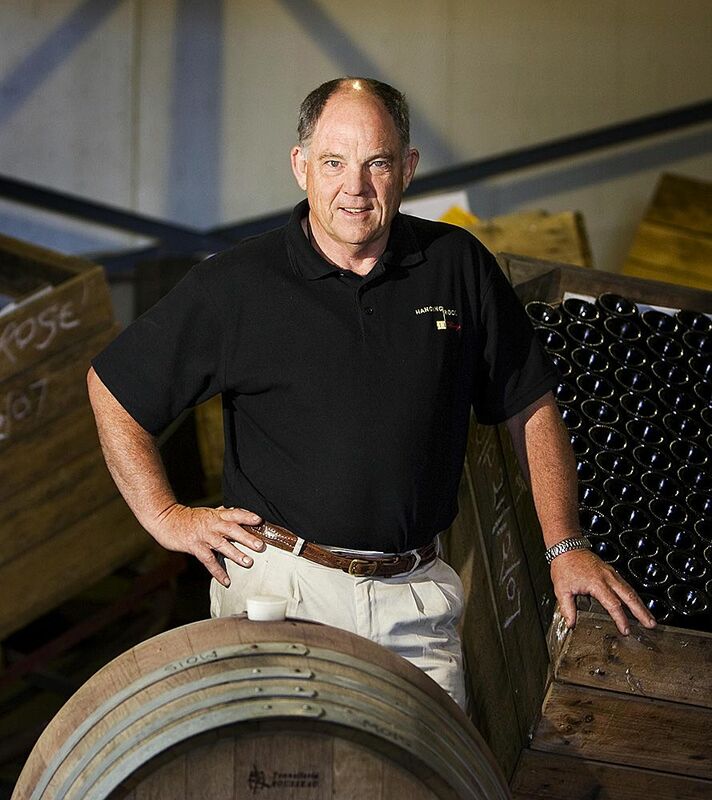 Chairman of Judges John Belsham from Foxes Island Wines in New Zealand : Image courtesy of Foxes Island Wines. They initially brought out a whole lot of German wines and we put them out at the public tasting. That was so successful that the French and Canadians came on board – last year we had 550 wines from 10 countries, so it’s the biggest event of this type in the world now. I stepped down as Chair last year after 19 years and the new Chairman is James Service a Canberra businessman and our Chairman of Judges is John Belsham from Foxes Island Wines in New Zealand. We took a roadshow of the top wines, the trophy winning wines, to Wellington, New Zealand so it’s not just a wine show, it’s a celebration of Riesling. We also went to Sydney with Riesling Down Under and there are now plans to take a roadshow to Hong Kong and Singapore as well, to promote Rieslings into China. Riesling should be drunk in China as it matches Chinese cuisine … I want the Australian Wine Board to take this on. Chinese drink red wine because red is the lucky colour and when they come in they ask for ‘hon jo’ the Chinese word for red wine. They don’t like white wine because white is the funeral colour, but I am promoting Riesling as ‘Jīn jo’ or golden wine. We never talk about Riesling, we talk about it as golden wine and the longer you keep it, the more golden it becomes. An entry in the Adelaide Wine Show Provinance class: three vintages of Riesling, the longer you keep it the more golden it gets : Photo © Milton Wordley. I think, Wine Australia should be looking at using that in China. When we talk about ‘Jīn jo’ and they see it’s gold they are interested, but call it white wine, they’re not interested. What is it about Riesling ? Riesling, in my opinion, is the greatest wine variety in the world and I say that without any fear of being contradicted by any wine critic. You can make seven or eight different styles of wine, from the very dry wine through to various residual sugars; you can make a botrytis wine, you can even make sparkling wine, you could probably make Sherry out of it if you really wanted to. 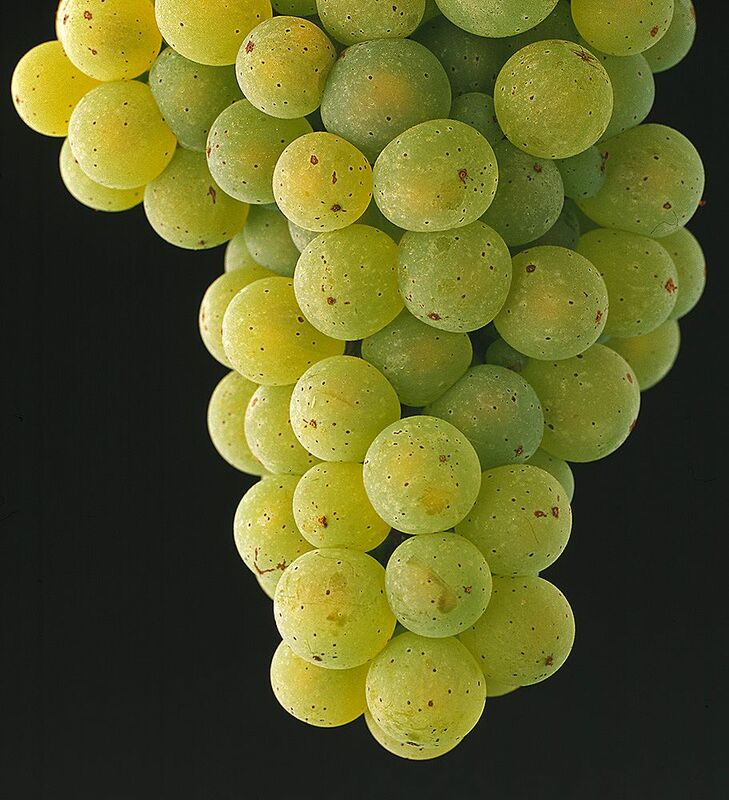 Riesling Grapes shot for the Petaluma calendar with Brian Croser in 1990 : Photo © Milton Wordley. The great thing with Riesling, is that it shows it’s sense of place – it’s got a lot of similarities to Pinot Noir. I’ve got five vineyards now here in the valley; I also take fruit from a contracted vineyard, two and a half hours drive away in the snowy mountains at Tumbarumba; we also have a vineyard contracted up towards Orange, it’s 700 metres above sea level in the Central Ranges. So each one of those wines from those regions are totally different in flavour profile, they are different textures, they have different mouth-feel. We’ve got the five Riesling vineyards here at Helm Wines, and every one of those is different. And so my job is to know when to harvest the grapes, when they are perfectly ripe and in balance with flavour profile, fruit, acid and sugar. Then we need to get those grapes into the winery as fast as we can, with as little oxidation as possible; then through the winemaking process, converting the sugar into alcohol without losing what the vineyard has done for the last 6 months and capture it in bottle as quickly as possible. That’s the reason I built a state-of-the-art Riesling winery. Your ten pack carton ? When I was in Germany and France around 1999, I saw wineries switch to six packs for occupational health and safety reasons, since carrying a 12 bottle carton was deemed too heavy. Ken with his ten pack carton : Photo © Milton Wordley. I thought about that and I thought, why do we need to go to six and why are we being so traditional. When I got home and looked at it again I thought we’ve got three cartons. We’ve got our Chardonnay carton, our Riesling carton and our premium carton; this is ridiculous, we’re making Visyboard and Amcor a fortune with all of these cartons. So I designed a 10 bottle carton which when full weighs around about 14 kilos, so it fits within occupational health and safety guidelines. You can carry it under your arm, it fits down between the front seat and the back seat of a car and it fits in an overhead locker of a plane. A few others have picked up on it, I’m quite happy for people to use it, even send them the specs. The ‘Ten Pack’ carton in use in the Helm museum room : Photo © Milton Wordley. How important is it for people in the industry to actually get up and get involved in Politics and represent the industry ? I think that’s pretty important. As a small producer I have been involved in lobbying right back to the Hawke and Keating Government when they tried to change the sales tax for wine to 30% in Treasurer John Dawkins’s budget. I was invited along to the budget breakfast the next morning with the Labor Party. John Ellis from Hanging Rock. 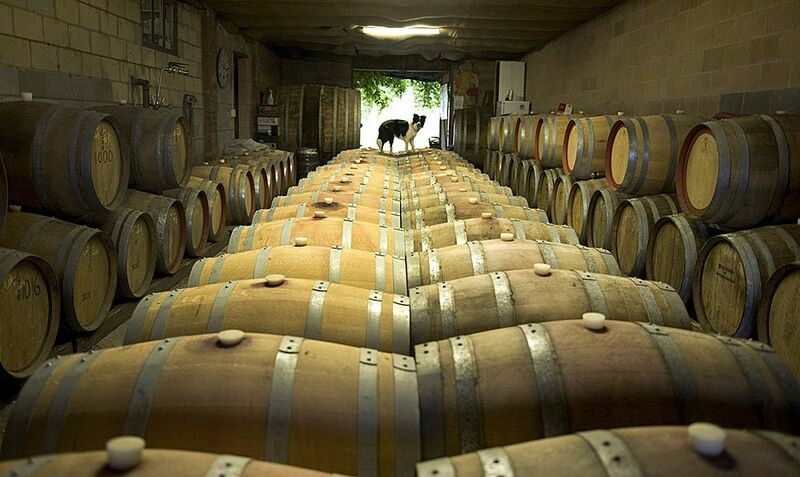 Image Courtesy Hanging Rock Wines. A while later I was with John Ellis from Hanging Rock, and a few of the others, who were judging at the Mudgee Wine Show. 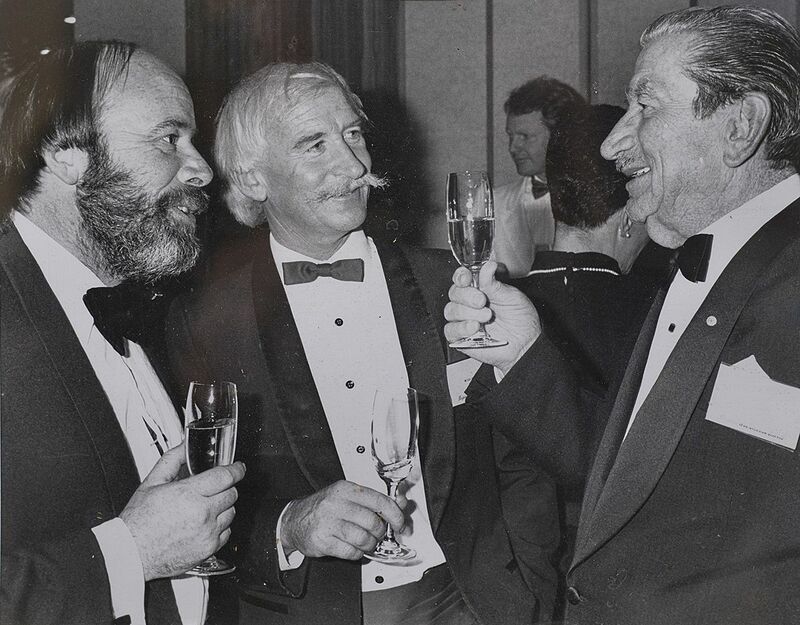 At the time one of Canberra’s longest serving lobbyists was living next door to us, he suggested that we start a small wine industry association. So together with John Ellis, Darren De Bortoli, Bruce Tyrrell and others we met with John Dawkins and I started the Independent Wineries Association. I was elected a councillor of the Yass Shire local council 1988 and served two terms as Mayor ‘til retiring in 1999. I like to make a number of different styles of Riesling. I let the vineyard dictate the terms, but the drier styles are the ones that I enjoy, and I think that’s what the community likes to drink. They work beautifully with crustaceans and shell fish when they’re young and then as they continue to get older of course, you can move right through to schnitzel and pork like they do in Germany. And your benchmarked wines ? I’ve been in Germany and tasted some of the great Rieslings, like Dr Loosen and J.J. Prum in the Mosel, and Dr. Von Bassermann Jordan in the Pfalz and Schloss Johannisberg in the Rheingau. Here in Australia some fantastic wines as well, Jeffrey Grosset, definitely. Louisa Rose at Yalumba, what an outstanding wine Pewsey Vale is. Peter Wall now retired from Yalumba was the biggest producer of Riesling in Australia and was a major innovator in Riesling wine making. 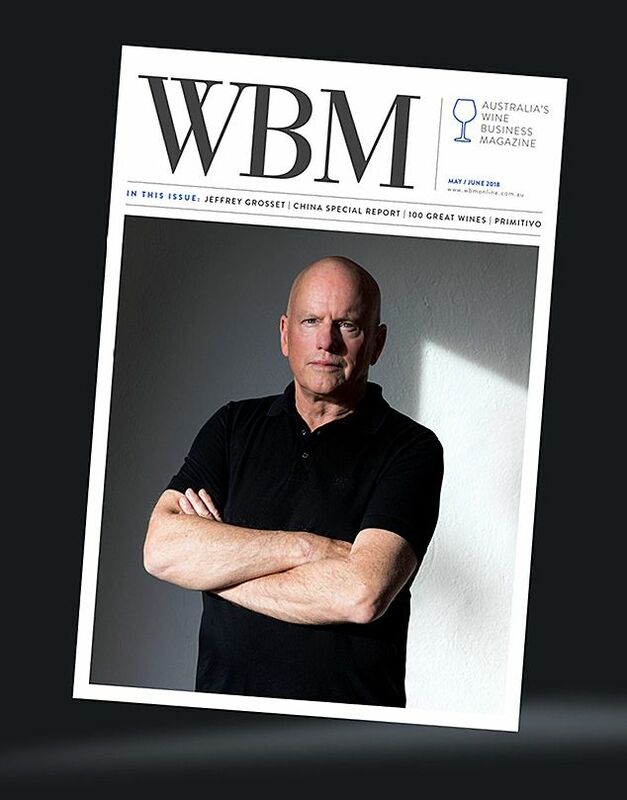 Jeffrey Grosset on the cover of WBM : Photo © Ben Macmahon. Up in the Clare, you have Neil Pike, Jim Barry’s wines, and a dozen or so others making great Rieslings. 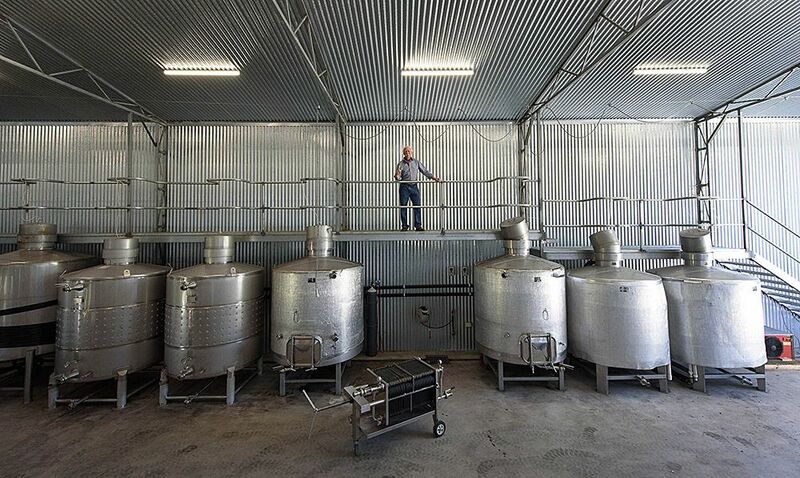 Jacobs Creek Riesling is made half a million litres, tanks and it’s fantastic. 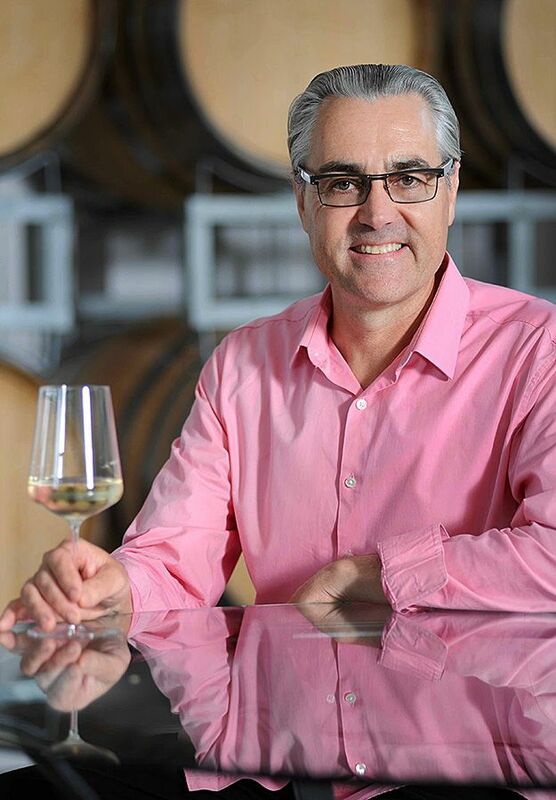 The years have seen great Rieslings makers like John Vickery, Guenter Prass, Wolf Blass, Brian Croser, Andrew Pirie, Andrew Wigan and Judi Cullam from Frankland River in Western Australia , the list goes on and on. 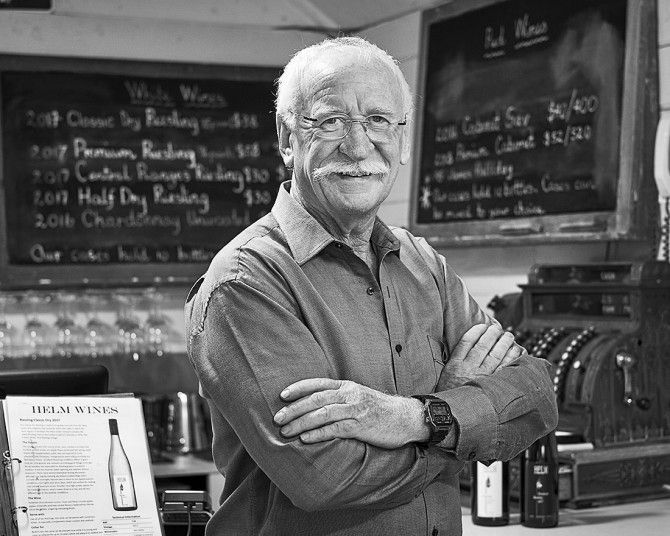 The late John Charles Brown of Brown Brothers Milawa made wonderful Rieslings for nearly 50 years. We tasted on one occasion a wonderful 1939 old wine under a crown seal, and he encouraged me to grow Riesling in Murrumbateman. Riesling will not be taken seriously by the consumer if it continues to be one of the cheapest wines on the shelves. Geoffrey Grosset wines reflect the quality in the price, but few others . The price should reflect the quality and the quality should be reflected in the price. I’ve never seen a Riesling at $100 or more, if you can buy a Chardonnay in Western Australia for $120 a bottle, you should be paying the same for a Riesling because in my opinion it’s the same or better quality wine. You can keep Rieslings for three to five decades plus. I’ve seen them in Germany and I’ve seen them here, they’re wonderful wines and they’re just undervalued. 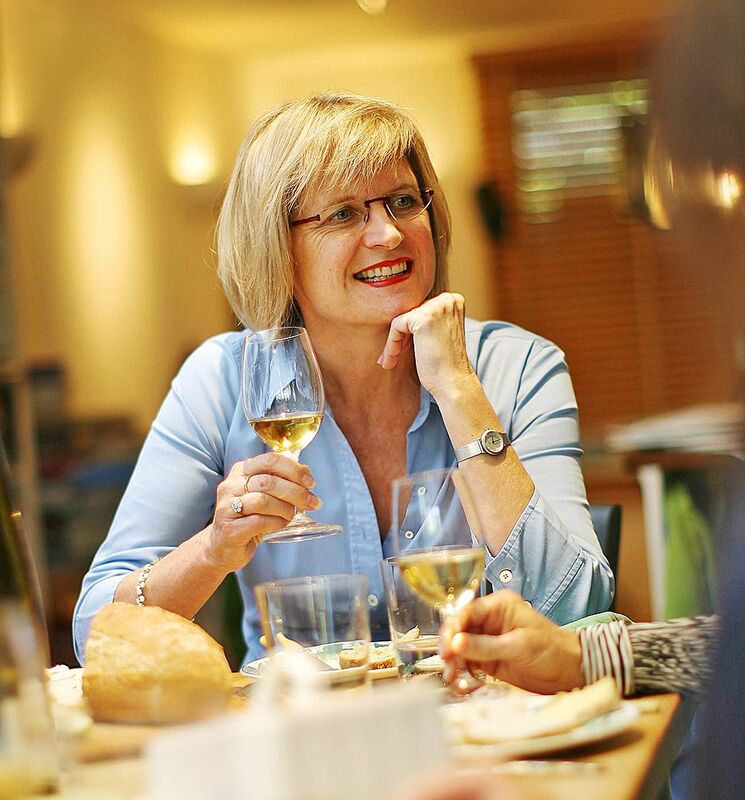 As Jancis Robinson says, the problem with Riesling is it’s mispronounced, it’s undervalued and it’s under rated.